The first trailer to a movie I really can't believe was greenlit, sent through to production, and is now ready to be released has been released and, to my surprise, looks much better than I would have ever expected. After last year's massive drop-off in returns for Michael Bay's fifth Transformers film, The Last Knight, it would seem Paramount and Hasbro might collectively be trying to figure out what to do with the future of this franchise and to be fair, they probably are as Bumblebee was already in production when The Last Knight, for lack of a better term, tanked last year. Just as a reminder, The Last Knight garnered a worldwide total of "only" $605 million while the previous two installments had amassed over a billion a piece. That said, for the first time in the franchise's history the studio and toy brand are bringing in a different creative head to put together a Transformers-based film and it is in this that we find hope in a new live-action Transformers feature for the first time in over a decade as the last time I remember being genuinely excited for one of these things was for that of the first sequel in 2009 and we all know how that turned out. With Bumblebee, the studio appointed LAIKA CEO and director Travis Knight (Kubo and the Two Strings) the man for the job while giving the screenwriting gig to a single writer in Christina Hodson (Unforgettable) rather than handing it over to a writers room tasked with plotting out an entire series of films. With these factors in place and the first trailer now having been released it can't help but feel as if this is a much smaller film with lower stakes if not still including some fantastical action sequences in the vein of something like Iron Giant (there are some serious Iron Giant vibes to be taken away here). Heading all of this up in front of the camera is Hailee Steinfeld (True Grit) who consistently seems to be improving her brand/public persona and while this might have initially felt like a step back for the actress and singer if she and Knight can put their own unique and compelling mark on the property I look forward to seeing where this invigorated franchise could go from here. 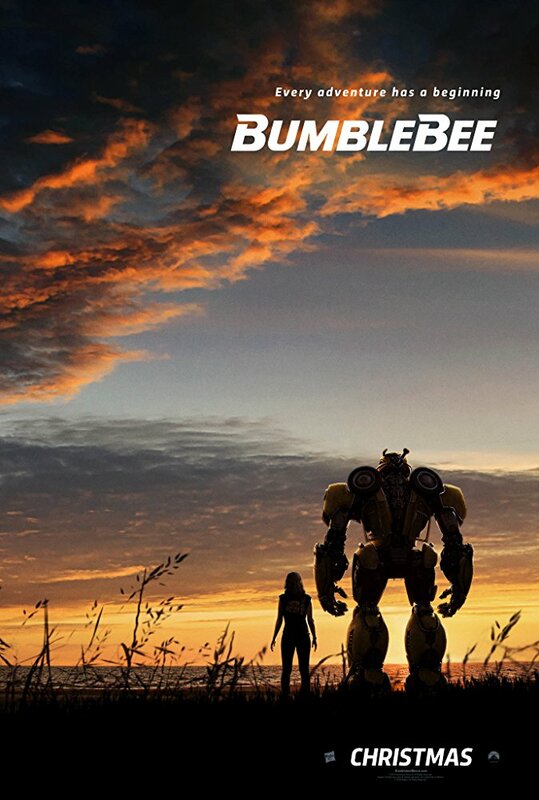 Bumblebee also stars John Cena, Pamela Adlon, Kenneth Choi, Megan Pryce, Martin Short, and opens on December 21st, 2018.